Corrugated Stainless Steel Tubing (CSST) is a flexible, stainless steel pipe used to supply natural gas and propane in residential, commercial and industrial structures. Coated with a yellow, or in some cases, a black exterior plastic coating, CSST is usually routed beneath, through and alongside floor joist in your crawl space (if your house is on pier and beam foundation), inside interior wall cavities and top of ceiling joists in attic spaces. Unfortunately structural fires have occurred due to the manner in which this material was installed as well as a lack of or no electrical bonding. For further information, go to www.csstsafety.com. Aluminum wiring, used in some homes from the mid 1960's to the early 1970's, is a potential fire hazard. How safe is aluminum wiring? According to the U.S. Consumer Product Safety Commission, fires and even deaths have been reported to have been caused by this hazard. Problems due to expansion, or more likely micro-fretting and arcing at the connectors, can cause overheating at connections between the wire and devices (switches and outlets) or at splices. The connections can become hot enough to start a fire without ever tripping a circuit breaker! CPSC research shows that "homes wired with aluminum wire manufactured before 1972 are 55 times more likely to have one or more connections reach "Fire Hazard Conditions" than are homes wired with copper. "Post-1972" aluminum wire is also a concern. Introduction of the aluminum wire "alloys" in 1972 time frame did not solve most of the connection failure problems. Aluminum wiring is still permitted and used for certain applications, including residential service entrance wiring and single-purpose higher amperage circuits such as 240V air conditioning or electric range circuits. The fire risk from single purpose circuits is much less than for branch circuits. But it's not necessarily because of a "new alloy" as some folks assert. It's because there are enormously fewer connections (four or six rather than 30 or 40 per circuit) and thus statistically a smaller chance of a connection failure. These connections do still burn up, as indicated by field reports. The central safety defect in FPE Stab-Lok(R) electrical equipment is that FPE Stab-Lok(R) circuit breakers fail to trip under overload or short-circuit conditions, at a failure rate much higher than comparable equipment made by other producers. When an overload or short circuit occurs in an electrical device (an electric clothes dryer for instance), the circuit supplying electricity to the device is supposed to be interrupted, electrical power cut off, by either a fuse or a circuit breaker. This interruption of electrical power is intended to minimize the resulting fire hazard of electrical overloads or short circuits. Where Zinsco electrical panels and Zinsco circuit breakers are in use, arcing, contact-point burn, and even circuit breaker case blow-out have been observed in the field. 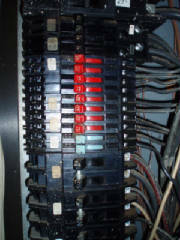 A principal Zinsco circuit breaker (or Sylvania circuit breaker for those Sylvania panels using the Zinsco product) point of failure appears to be at the point of contact where the circuit breaker contacts clip onto the electrical panel bus, combined with the use of an aluminum electrical panel bus. In addition to advice on identifying Zinsco panels, inspecting Zinsco electrical panels, and repair/replacement advice, we provide field photographs of circuit breaker failures: overheating, burnups, failures to trip, over current protection failure. 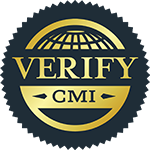 This document includes field reports of failures and additional anecdotal evidence. As a not-for-profit activity, we have been collecting information and field failure reports for Zinsco/Sylvania electrical components since 1996 in an effort to develop credible failure-rate information which is then shared with the U.S. CPSC and with other electrical failure researchers and educators. Although water supplied from your water treatment plant may be free from lead/copper*, contamination from your piping system may cause lead/copper to dissolve (leach) into your water supply if: * You have a lead service line connecting your home to the water main in the street; and/or * Your home has lead water supply pipes; and/or * You have lead containing soldered joints in your copper supply pipes (installed from 1983-86); and/or * You have plumbing fixtures containing lead. * In rare cases some lead leaching may take place from piping in the street if it is a low flow area, i.e. ; dead end streets. Note - These excerpts were obtained from Dan Friedman's web site "The Home Inspection and Construction Web Site”. Note - Excerpted from the New York City Department of Health & Mental Hygiene, Environmental & Occupational Disease Epidemiology: “Facts About Mold”.